Summer has finally arrived in London, which means that we all have to try and deal with temperatures above the 30 degree mark. I am sure you all know the hot, sweaty feeling when in the office during summer that leaves you feeling tired and unmotivated. 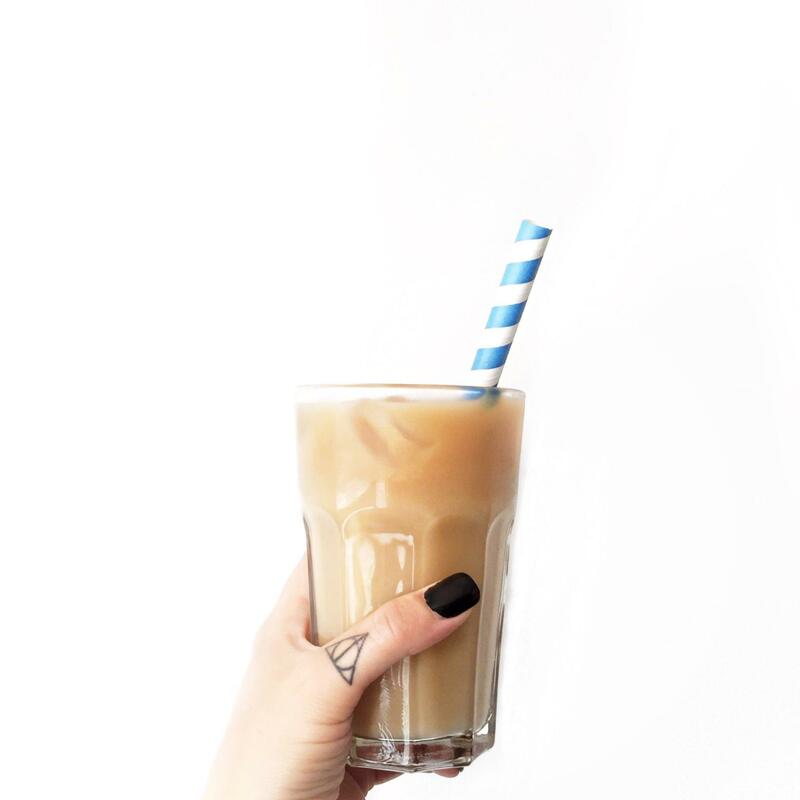 A cold drink is much needed in this heat – so why not make yourself some cooling iced coffee? Perfect for a hot summer day and it surely gives you that extra energy needed. Firstly, make a coffee, the amount of 1 cup for each iced coffee cooler, I have used my Senseo espresso for this to give it a stronger coffee kick. Let the coffee cool down a bit. If you do not have much time, I recommend adding ice cubes to your coffee and blending it with a spoon for a few minutes. Fill a tall glass halfway with ice cubes and add your non dairy milk. I have used Rice Milk in this case as it is nice and tasty and does not overload the taste of the coffee. I also recommend adding any additional flavours (if you are into these) – I added a splash of Vanilla to mine. If you want your iced coffee to be a bit more ‘frothy’ blend it with a stick blender. Once your coffee has reached a luke warm temperature, you can add it to the glass. If you are not saving on the calories, feel free to add some vegan cream (coconut is amazing!) and top with cocoa powder or cacao nibs. And last but not least, the most important part: ENJOY!